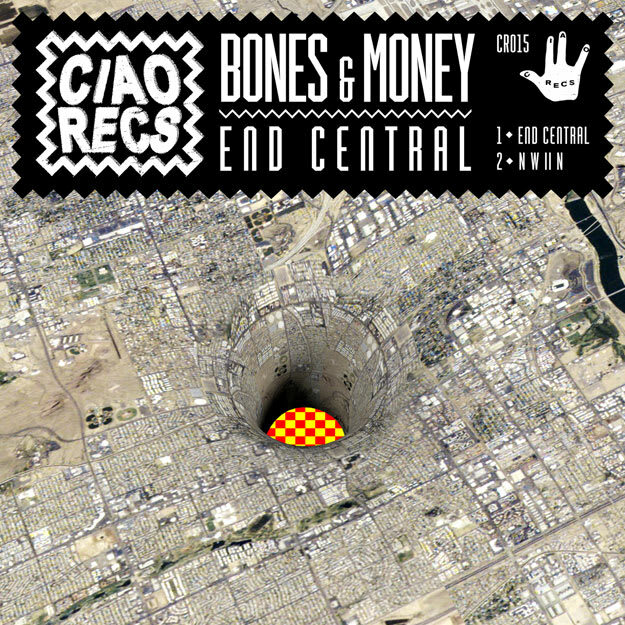 PREMIERE: Bones & Money - "End Central"
Crookers&apos; Ciao imprint is back with another free two-piece that&apos;ll get you sorted for the weekend. Aberdeen-based duo Bones & Money have seen their material get snapped up by Tuff Wax, Loose Squares, and Trouble & Bass, so you should already know the flavor they&apos;re bringing this go-round. The title track, "End Central," is a darker record, imploring you to "holla back" while it rides some menacing low-end. That hypnotic, 2AM steeze is all over this one. The flipside, "N W II N," brings more of a UKG-influenced flavor, and could be the real party starter. Laced with enticing vocal snippets and a funky bassline, this one is a pure winner. Lethal double dose for the free.